Follow Me Through BSL (2018) is based on the writing and speaking requirements and grading standards of the 2018 B-level IBDP test syllabus. The test based on this syllabus will become the standard in 2020. This book can serve as a guide for students to prepare for the test in terms of conceptualization, style, topic, vocabulary and sentence structure. It provides mind maps, sample texts, oral practice, exercise banks, oral questions and mock writing tests. In this textbook, each sample text is accompanied by a format requirement and key points in order to enable students to gain a better understanding of how to write a high-quality composition. In addition, a workbook has been designed to serve as supplementary material. 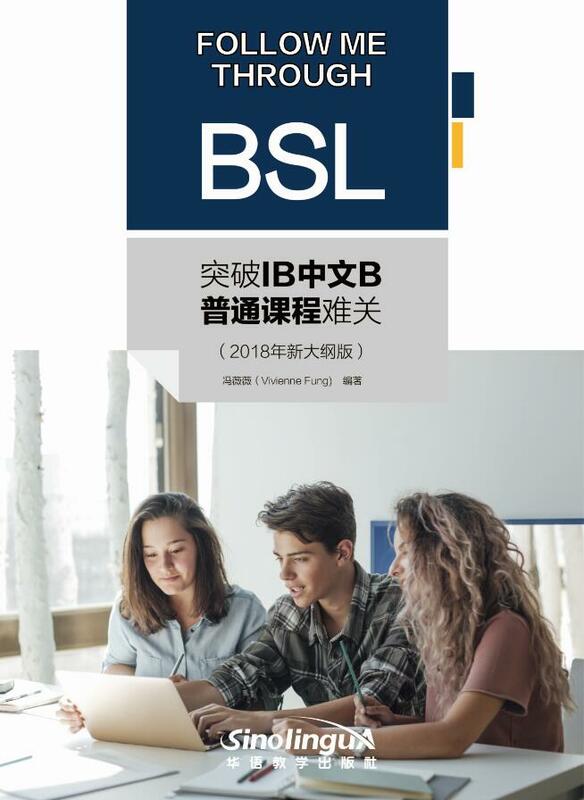 All the exercises in the workbook have been developed according to the listening and reading sections of the IBDP test and correspond to sample texts in this textbook, which will assist teachers in providing optimal training to students.